With the big announcement that a fourth game is coming to the Xbox One and PC this holiday season, it seems only appropriate that the first two games would somehow find their way onto the current gen of consoles. 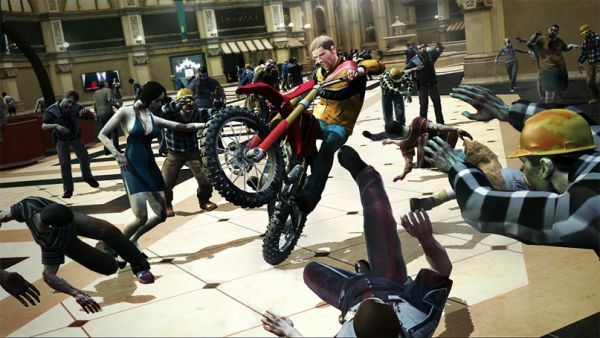 First leaked over the weekend thanks to some PS4 trophy listings, Capcom released a statement to Eurogamer.com that Dead Rising, Dead Rising 2, and Dead Rising 2: Off the Record will all be coming to PC, Xbox One, and PlayStation 4. While the original title was single-player only, all of the subsequent games have supported two player online co-op. In the case of Dead Rising 2 and Dead Rising 2: Off the Record, the second player is able to assist the host player in completing main story missions, but he/she only gets to keep the experience and money they earn. No story progression or items will carry back into the second player's game. I've seen a lot of stories talking about "remasters" of these games coming to the current gen consoles, but it's worth noting that the statement provided by Capcom makes no mention of this. They simply state that they "will be bringing Dead Rising to Xbox One, PS4 and PC. In addition, Dead Rising 2 and Dead Rising 2: Off the Record will make their way onto Xbox One and PS4." It seems likely that these will be some kind of remastered offerings, hopefully with the progression changes found in Dead Rising 3, but they could just as easily be ports with nothing changed. No further information was provided by Capcom so for now, we'll just have to wait and see.